This web site presents a list of load testing tools and performance testing software. In the software testing domain, load testing is defined as the process of putting demand on a system or device and measuring its response. When the load placed on the system is raised beyond normal usage patterns, in order to test the system response at unusually high or peak loads, it is known as stress testing. The load is usually so great that error conditions are the expected result, although no clear boundary exists when an activity ceases to be a load test and becomes a stress test. Load testing is often used synonymously with software performance testing, reliability testing, stress testing and volume testing, even if there are different ways to assess the resistance of a software or a web site. * Criticality � How critical is the scenario to the overall operation of the application? * Frequency � How often is the load testing scenario expected to be performed? * Difficulty � How difficult is the scenario to simulate? * Verifiability � Can correct operation of the scenario be easily verified? The main features that you can find in commercial or open source load testing tools are the creation of realistic performance and load testing scenarios, simulating multiple users, simulating multiple locations, simulating multiple browsers (Firefox, Chrome, Internt Explorer, ...) for web load testing, running load testing and gathering results, load testing results presentation, automated monitoring of servers, automated alerting in case of monitoring issues. This website presents a list of load testing tools and performance testing software. 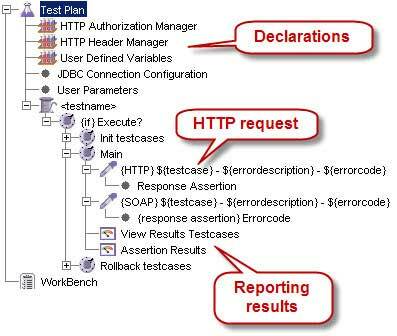 You will find both commercial load testing tools and services and open source tools like Apache JMeter, a 100% pure Java desktop application designed to load test functional behavior and measure performance; Benerator, a framework for creating realistic and valid high-volume test data; Gatling, an open source tools that can be used as a load testing tool for analyzing and measuring the performance of a variety of services, with a focus on web applications; Locust, an open source load testing tool that allows to define user behaviour with Python code, and swarm your system with millions of simultaneous users. If you have limited load testing needs, you can also use for free commercial load testing tools.